Why Choose A Registered Nutritionist? Professional registration recognises Nutritionists who have obtained relevant academic qualifications and work experience within the field of nutrition. The title can only be used by those who have meet these standards, as determined by The Nutrition Society of New Zealand, and comes with a continued commitment to professional development and adherence to the Royal Society of New Zealand Code of Ethics. When you work alongside a Registered Nutritionist, your health insurance plan may cover all or some of your appointment cost. Please review your health insurance policy to determine whether you're eligible for cover. Abbie sees nutrition as more than just food. It is also about understanding, motivation and organisation. No matter how perfectly calibrated a meal plan is for you, it needs to be enjoyable and able to fit in with your busy lifestyle. Overall it is essential that these factors are included in a nutrition program to achieve long-term success. There is a lot of conflicting nutritional information out there, but that is simply because different people have different goals and start from different baselines. The information that you read about for the most part is right, but it may or may not apply to you. Nonetheless, there are certain nutrition principals that are applicable to everyone – eat clean and principally from the earth. Abbie uses this philosophy as a foundation and then customises your plan based on your goals. Abbie has a fun approach to nutrition and provides ongoing support and guidance as you easily incorporate healthy habits into your daily lifestyle that improve your health and well-being. Whether you want to lose weight, address health concerns, increase energy levels, or simply eat better, you'll achieve success through Abbieʼs knowledge and encouragement. Book your consult with Abbie today. I had gotten into a bad relationship with food and exercise - under eating and over training while seeing no results. Rather than giving up food altogether I thankfully went to see Abbie and now eat more than I have in years (even carbs!) and am training less while losing weight. The best part has been repairing my relationship with food, gone are the feelings of anxiety and guilt around eating. Danijela is hugely passionate about educating others on the power that food, and positive lifestyle changes, can have in restoring vitality, energy and providing a healthier, more balanced life. She approaches nutrition on an individual level, taking into account not just a person’s health and wellness concerns, but also their budget, lifestyle and time constraints to create a tailored practical plan that will lead to sustainable long-term changes. She is particularly interested in digestive issues, weight management, emotional eating, family health, skin issues (i.e. acne), and the management of chronic conditions through nutritional therapy and positive lifestyle changes. Aside from consulting at Feel Fresh, Danijela also works as a community nutritionist at a care and protection facility for children and young people. In this role she manages a food education program, teaching gardening and healthy cooking skills to a wide age-range of youth. She is knowledgeable across child and adolescent nutrition, as well as meal-planning and family budgeting advice, and particularly enjoys showing how to utilise fresh, healthy produce to make nutritious, budget and family-friendly meals. Danijela is an avid foodie and enjoys cooking and anything related to the preparation, making and sharing of food. She runs the health and wellness blog www.healthyalways.co.nz, where she enjoys sharing recipes, nutritional ideas, and health and wellness tips, you can also see it on her instagram account here. Book your consult with Danijela today. Danijela is truly passionate in her approach to helping her clients achieve optimal health. She has helped me with Digestive and Gut issues (IBS) taking me through the process of eliminating many foods followed by the reintroduction of testing which foods I could or could not tolerate, I haven’t felt so well for many many years. I couldn’t have achieved such incredible results without the skilled expertise of Danijela. Sick of constantly fighting food and your body? You can find peace with your food—allowing you to focus on all the other important relationships in your life. Emily offers one-on-one consultations from a non-restrictive, self-compassion perspective, which means she will never tell you to deprive yourself or ban certain foods from your life. Instead, she can help you recognise the diet culture in your life, disregarding it to tune into your body's own inner wisdom about how to truly nourish yourself. Emily has a holistic approach which is complemented by scientific research so you can take confidence in her advice. While Emily can address all areas of nutrition, she is passionate about improving relationships with food and is experienced with treating reproductive issues such as PCOS and endometriosis with an empathetic, non-restrictive approach. A history of on/off dieting and feeling like you have tried every diet under the sun. Have engaged with disordered eating patterns such as inappropriate emotional eating, binge-eating, or periods of restriction. Constantly thinking about food and feel like it consumes you. You have issues with body image and the way that you look. You have been diagnosed with a health condition such a PCOS, endometriosis or diabetes and are struggling with the restrictive guidelines for treating that condition. How to distinguish an eating-disorder from disordered eating and how to improve your relationship with food. To understand and motivate individuals with eating disorders. With you can build a comprehensive treatment plan to free you from compulsive thoughts. Helping those who have had long-term struggles with weight. 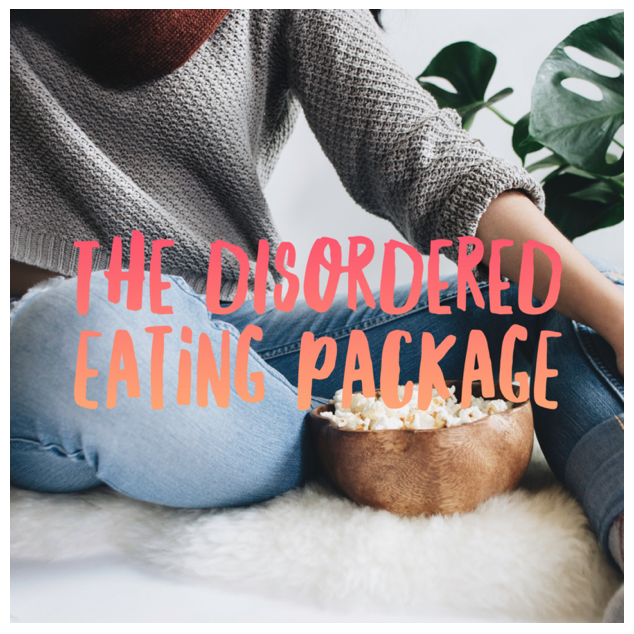 For more on Emily’s Disordered Eating package, click here. Emily is always in the kitchen or scrolling scientific literature to come up with content for her health and wellness platform - Emily’s formula. She shares everything from recipes to wellness tips. You can also see her on Instagram here. As a nutritionist Phoebe aspires to educate and inspire people to make positive food and lifestyle choices to reach the happiest, healthiest version of themselves. She takes a fun approach focusing on personalised guidance and goal setting, that works with the individuals life style and budget, and is sustainable in the long-term. While Phoebe can address all areas of nutrition, her main areas of focus include weight management, nutrition for stress & fatigue, nutrition for anxiety & depression, and gut health.She also has experience with improving and managing cholesterol levels. Phoebe is passionate about holistic health and understanding how and why our physical and mental well-being are so strongly interrelated. Aside from working at Feel Fresh Nutrition, she also works in corporate wellness with Vitality Works. This involves performing health checks and providing nutrition advice for company employees in and around Auckland. With Phoebe’s love of food you will find her experimenting in the kitchen, keeping up to date on the latest scientific literature, scoping out the best cafes and food markets and sharing all of this with you on her blog. Julianne has a passion for nutrition as a tool to improve wellbeing and health, reduce inflammation, and manage appetite. Julianne’s passion for the power of nutrition was ignited when she experienced first-hand the difference diet makes; after a change in diet she had reductions in many niggling health issues related to auto-immune disease and inflammation. This inspired her to retrain as a nutritionist, so she could help others improve their own health through dietary changes. Julianne takes a whole food approach to fat loss, reducing inflammation, and managing auto-immune disease. In her post graduate research Julianne focussed on diet studies and Rheumatoid arthritis. Julianne is also a FitGenes practitioner; FitGenes is genetic testing that shows your genetic predisposition for many health issues including inflammation, cardiovascular problems, high blood pressure, body fat regulation, methylation and detoxification. By knowing what your genes predispose you to – you can take control and implement clinically researched diet and lifestyle strategies to optimise your health. You can book in selecting the ‘FitGenes Package’ here. Julianne’s current hobby is powerlifting. She competes nationally in the Masters 2, 52kg class.